BlueSky’s features simplify every step of the meeting process—from meeting creation through the finalizing of minutes. Whether your non-profit meets once a month or a few times a year BlueSky can save you hours of time and frustration when it comes to creating your agendas and minutes. 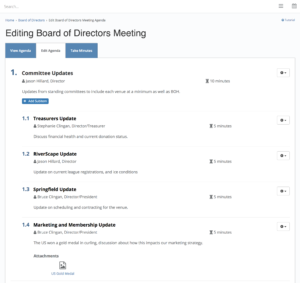 Our editor makes it easy to format your agenda items and add attachments, and reordering items is simple with our drag and drop interface. BlueSky’s pricing is simple. 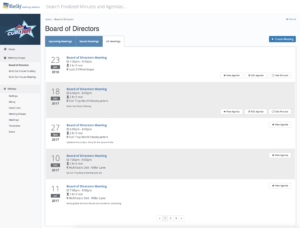 $9/month for a “Simple” meeting group (perfect for teams and staff meetings) and $49/month for an “Advanced” meeting group (perfect for Board meetings). Features designed for your foundation's needs. Is BlueSky Right for Your District?